Do you have a website, blog, or video channel that needs more traffic? 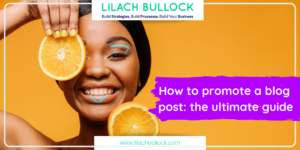 It may seem like an unlikely choice for a promotion site, but Pinterest actually has the power to increase your user traffic threefold. In 2014, Pinterest was crowned the fastest-growing social network, and it doesn’t seem to be slowing down anytime soon. One of the major reasons why Pinterest is a platform of choice for many is because it’s so easy to manage. Anyone can register for a Business Account, which has added features that can give insights to determine your profile’s performance. You can check the peak hours of pinning, location of pinners, and so much more. The best thing about Pinterest: it’s totally free! 175 million – Number of monthly visits, with 75 million in the US alone. 100 times – A Pinterest pin is 100 times more “spreadable” than a tweet. 93% – Number of active users who say they use Pinterest when searching for a purchase. 78 cents – One pin can generate up to almost a dollar in revenue. 7+ days Weeks up to months– The lifespan of a pin. One marketing firm even considered pins as ‘outliers’, in that a pin can build thousands of repins in a span of months because it can always be revisited. In comparison, a tweet’s median lifespan is 24 minutes, while the half-life of a Facebook post is 90 minutes. 2 unique page visits and 6 page views – Average number of visits per pin. And for skeptics who think that Pinterest is only for women looking for craft or home decor ideas, think twice. About 40% of new Pinterest signups are male users with interests like gaming, technology, business and education. 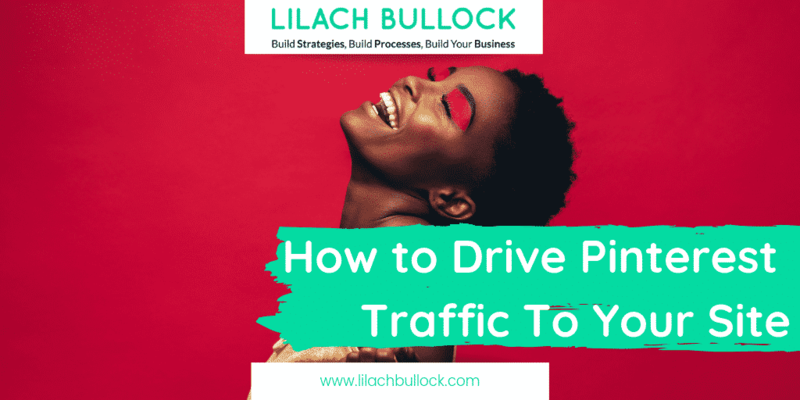 So how do I generate more Pinterest traffic? As with other platforms, Pinterest has different terms of service for Personal and Business accounts. It’s recommended that you apply for a business profile as it will give you access to plenty of useful data. 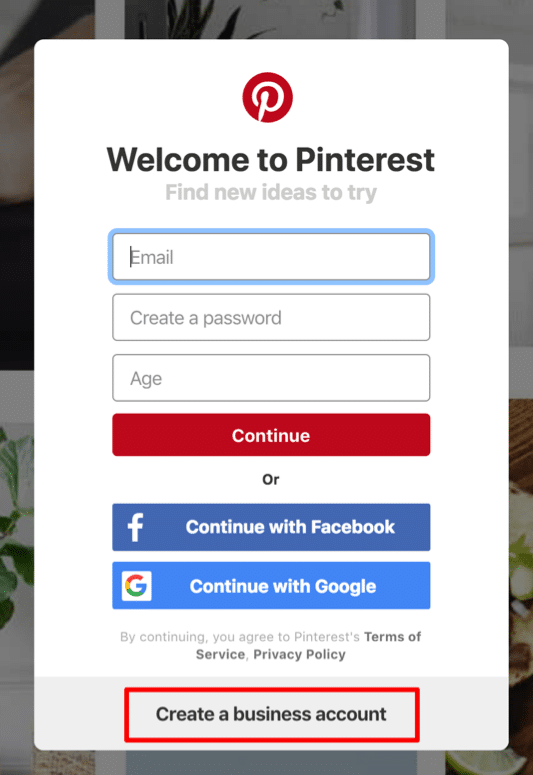 Commercial use of Pinterest is only allowed if you have a Business account. And the added features like Rich pins, promoted pins, and Pinterest Analytics can give you insight that will help improve your performance. 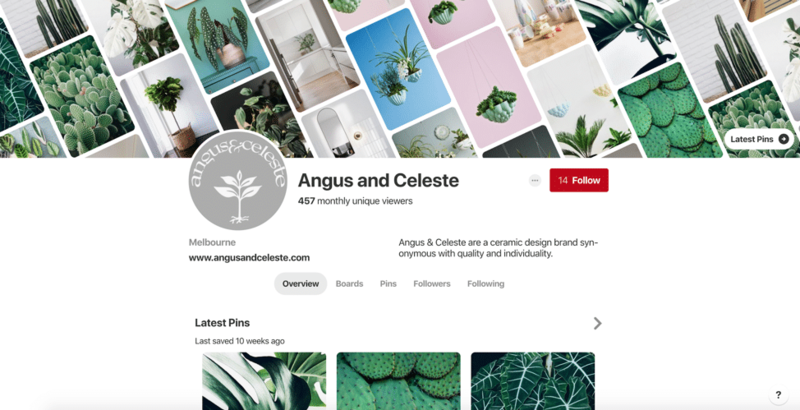 For instance, you can determine the peak hour of pinning, location of your pinners, and so much more information that will help you improve and optimize your Pinterest profile. And the best thing about this is that it’s totally free! Image: Pinterest Analytics & Audience Insights. 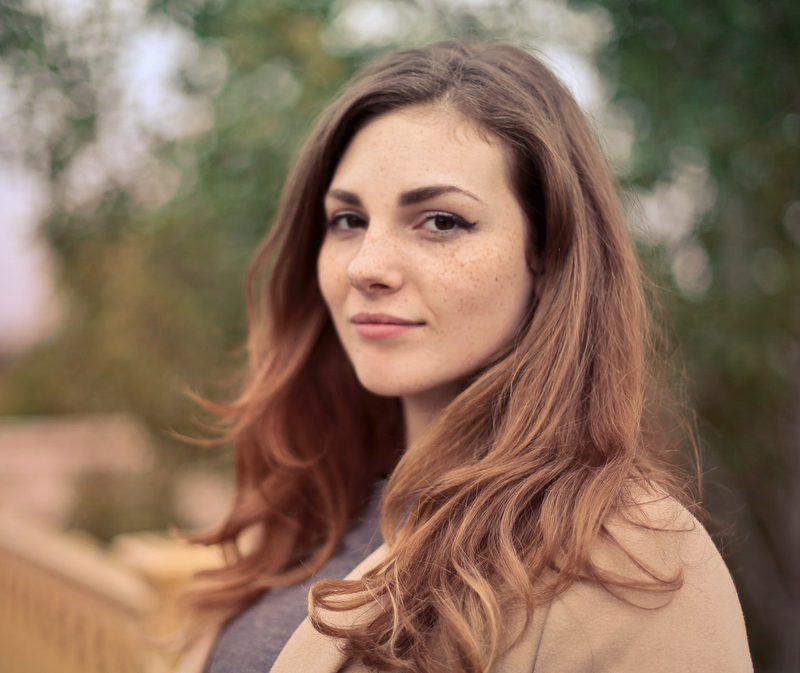 If you’ve already made a profile, you can simply convert your existing one to a brand profile. Even if you’re not technically a business, you’ll become a verified account, which will lead to more followers. The great thing about Pinterest is that it pretty much works as a search engine where people can type in what they are looking for and a search list is laid out for them. So what does this have to do with your profile? If you insert keywords in your name and description, people who are searching for those relevant keywords would be more likely to come across your profile. That’s because in Pinterest, keyword searches also reveal profiles! For instance, if you are a coffee shop in San Francisco, instead of just naming your profile “Dave’s Grill”, include keywords that your target audience can type in to find you. You might want to change your profile to, “Dave’s Grill BBQ Takeout San Francisco”. You can further add keywords to the profile description, just to increase the searchability factor of your profile. Also, keep your photos and logos uniform across social media platforms. This makes it easier for people to remember or spot your brand. Regular Pinterest profiles often consist of boards ranging across all kinds of topics under the sun. You, however, don’t want to be just another regular Pinterest account. You want to stand out. To do this, you’ll need to stick to a certain niche. Why? Because more often than not, users are drawn to profiles that have the richest ideas and the most creative and unique posts. Think about it. When you are browsing on Pinterest, would you want to look at a hodge-podge of posts, or would a themed and organized account look better? With a niche Pinterest profile, people will feel more inclined to follow you as they already know exactly what kind of content to expect from you. Image: Angus & Celeste are a great example of a brand that sticks to a single niche ‘hanging planters’. 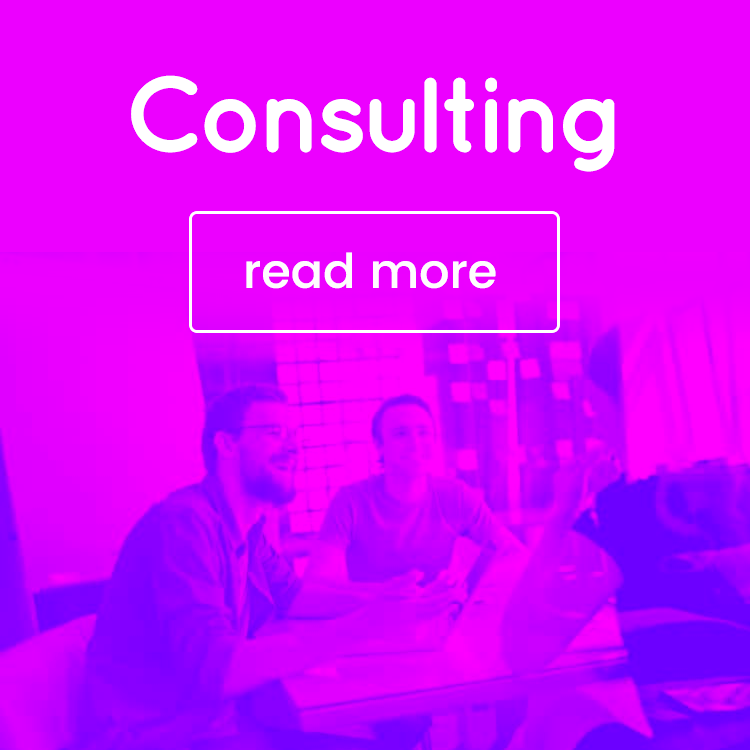 They also stick to a single colour pallette, which creates a story for their brand page. If you want to rise through the ranks in the Pinterest world, you’ll need to focus on garnering as many repins as possible and as quickly as possible. Pins that take 3 days to reach 100 repins outrank pins that take 3 weeks to reach 100 repins. According to Pinterest surveys, pinning 5 to 10 times a day can work well, increasing engagement up to 150%. Some also report that posting 30 pins a day is effective in driving traffic. Pinning to group boards daily is also a must. Image: Amazing World is a great example of a very popular group board. 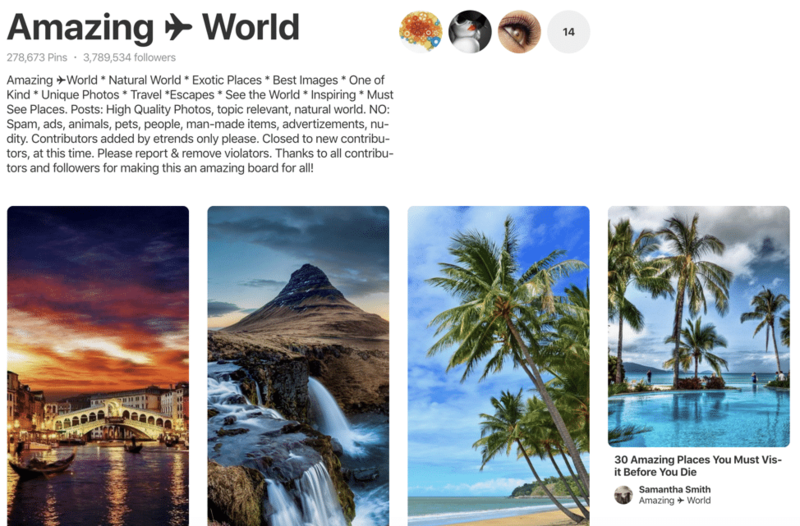 If you have high quality photos from around the world, then you could drip feed them onto this board to help drive traffic to your own boards and website. There are plenty of factors that influence the likelihood of getting repinned, but the most important thing would be to create quality pins. A little-known fact is that 4 out of 5 pins on Pinterest are simply users repinning other people’s posts. This means that you have to post pins that exude originality, creativity, and style. In short, you need pins that people will find worth repinning. And how do you do that? Aesthetically beautiful – To learn more about how to choose “pin-worthy” images, check out this article. Interesting – As much as possible, try to make your pins as intriguing and interesting as possible, even if this means utilizing “clickbait” titles. Helpful – Helpful pins receive 30% more engagement than average pins. Actionable – Using phrases that encourage engagement, such as “Click to learn more . . .,” leads to an 80% increase in clicks. This may seem obvious, but it’s amazing how easy it is to recklessly pin post after post on Pinterest. 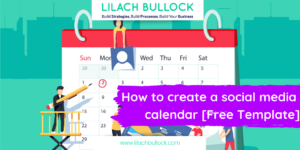 If you want to attract followers and a steady flow of traffic, you need to be strategic about what time you pin and how often. If you want to make the most of your pins, consider two aspects of the task: scheduling and spacing. The first involves scheduling your posts ahead of time. Not only will this make life easier for you, it will also help you manage the volume of content being shared. It’s not too much this day, and then none the next. Every day is consistent. Spacing out your pins means not saturating your audience with 15 pins in a row. When you queue your posts over a period of time, your audience gets to anticipate your pins instead of being bombarded by them. If you’re a business profile, you’ll be able to check analytics to find out when your followers are most likely to be active. Part of not recklessly posting is knowing how many pins you should be posting. As much as possible, don’t over-pin your own material. 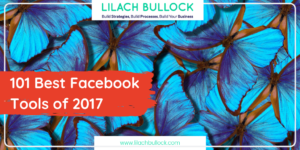 As Pareto’s 80/20 rule suggests, share 80% of others’ posts and 20% of your own. Yes, SEO also applies to Pinterest boards and pins. Again, if you want your boards and pins to show up in the “Picked for You” section, use relevant keywords when naming your board and writing your descriptions. Aside from keywords, include important details, positive sentiments, and a call to action (but not salesy) or something the reader has to do. For example, you can ask the reader to check out a link that leads to your blog or somewhere useful for them. 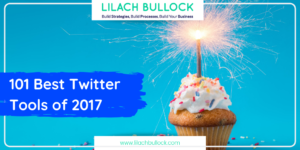 Experts also emphasize that hashtags, salesy CTAs, and long descriptions are a no-no if you want to have top posts. Being aware of SEO means that you are intentional about every post. You can’t simply type in whatever title or description pops into your head—you need to be strategic with your pins, just as with any other kind of online content. Image: Pinterest is a search engine too. It’s important to base your pins around keywords that users are likely to use when searching for your product. 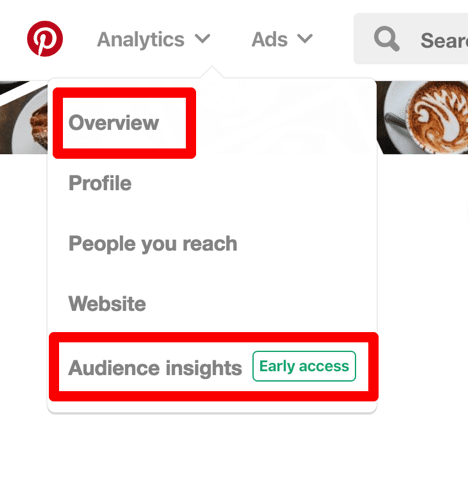 Pinterest has added a relatively new feature called Guided Search, which gives users keyword suggestions when they enter a search term. And when you know which relevant keywords appear on the guided search, you can then plan how your content can turn up when users type these popular search terms. To find out what keywords are still relevant, utilize the guided search. Type related keywords and then use whatever search terms pop up first. A makeup brand, for example, would most probably use search terms such as “casual makeup looks” or “best lipsticks of 2018” and so on. A former employee at BabyList shared that they began taking advantage of the guided search, and as a result, they garnered more than 100,000 site visitors in a month. 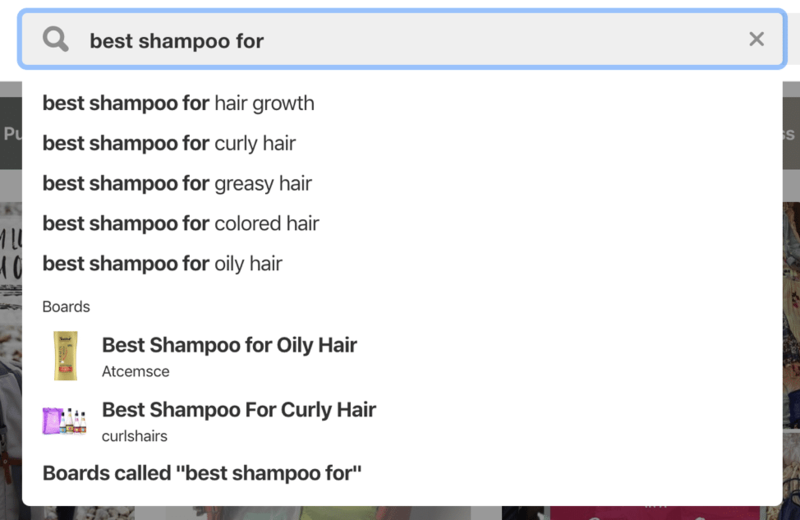 Image: Guided search suggestions for ‘best shampoo for’. Group boards are, essentially, boards with more than one contributor, meaning you can post anything on the board given that you follow the respective guidelines. Joining group boards is an easy and great way to drive traffic as your pins will gain more viewers and exposure. When you pin content to the board, anyone who follows that board becomes part of your audience instantly. It won’t guarantee virality, but it’s an efficient way to expand your reach. 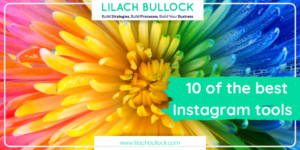 You have more potential users to repin and follow your account. Surveys suggest that pinning at least 2 posts on group boards every day can do well for your organic traffic. To find group boards related to your interests, check out PinGroupie.com. Remember: Pinterest is just like any other social media platform. And the best way to grow an audience is to engage your audience and become a part of the community. If you see users constantly repinning your posts, check out their profile and give them a follow. Reply to comments, actively seek out similar profiles, and be an overall active user. Think of it as networking in the Pinterest world. 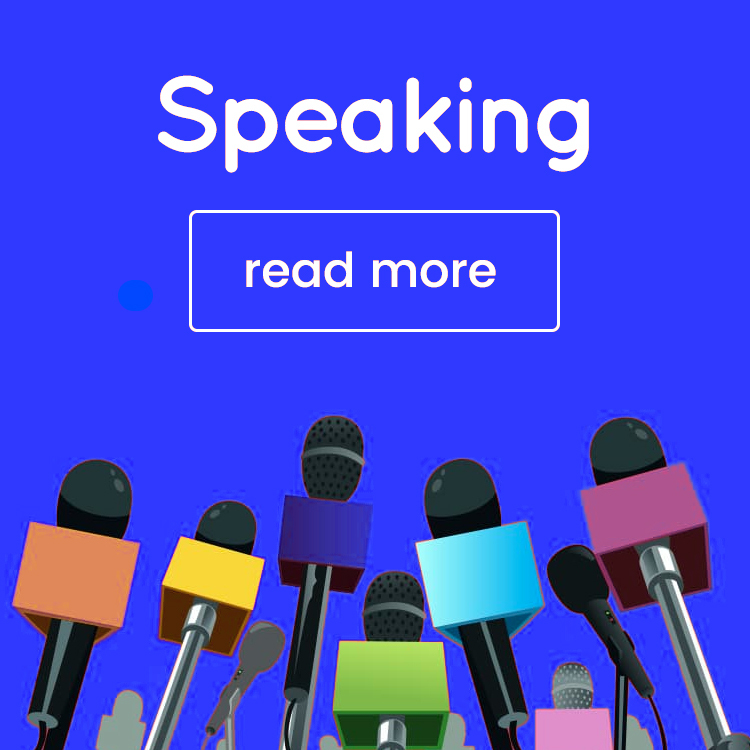 When you connect with fans who have strong profiles, or influencers in your target niche, then you are expanding your network and positioning your profile as an established one for a given audience. When you’re starting out, it only makes sense to follow and repin from influencers in your niche. This puts you on their radar and allows for future exposure. It will also increase your chances of becoming a suggested profile to follow. And though not many people do this, you can actually explore reaching out to these influencers. Ahrefs conducted an outreach via email to hundreds of influencers to gain not only repins and follows but also feedback. From their experience, connecting with influencers resulted in pleasant conversations, saves, and important advice about Pinterest marketing. Image: Ahrefs’ outreach experiment where an influencer was emailed (and subsequently responded) regarding Pinterest marketing ideas. Most website builders nowadays allow you to install widgets that let your site visitors pin your photos with a single click. 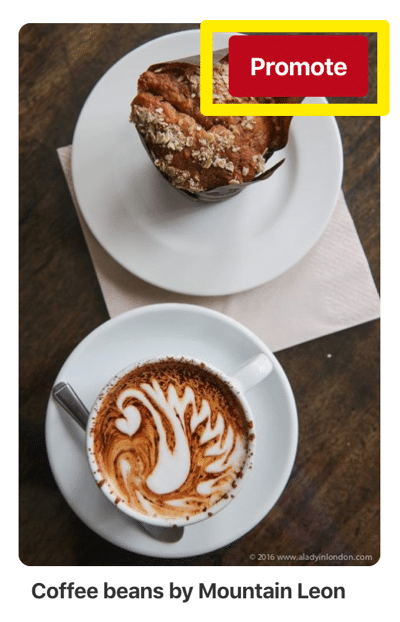 Add a hovering Pin It button to every image on your site or in your mobile app. You can do this with the Pinterest widget builder if you have a Business account. Otherwise, you can use the Pinterest Pin It Hover button plugin if you’re using WordPress for your site. 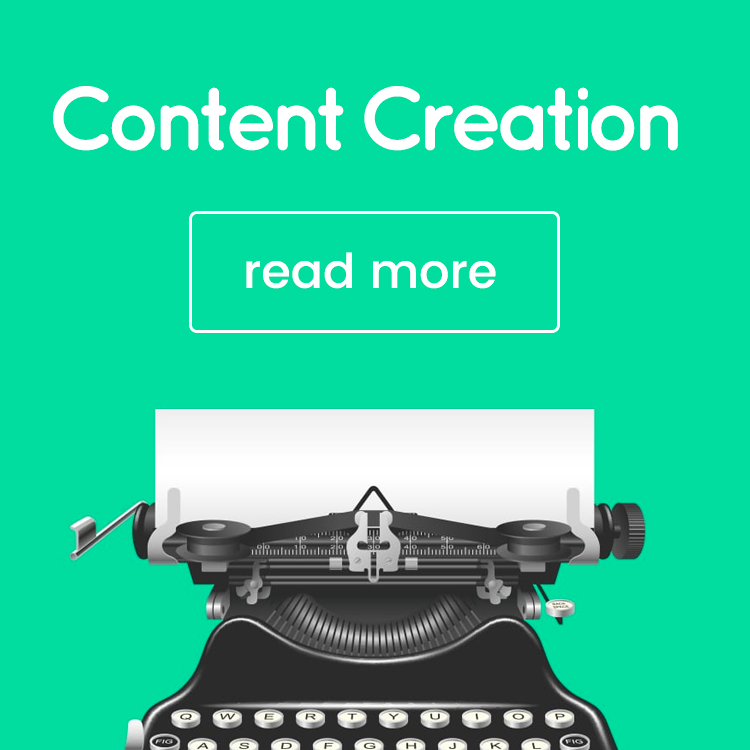 This way, your content gets repinned and your Pinterest profile grows in numbers and exposure. 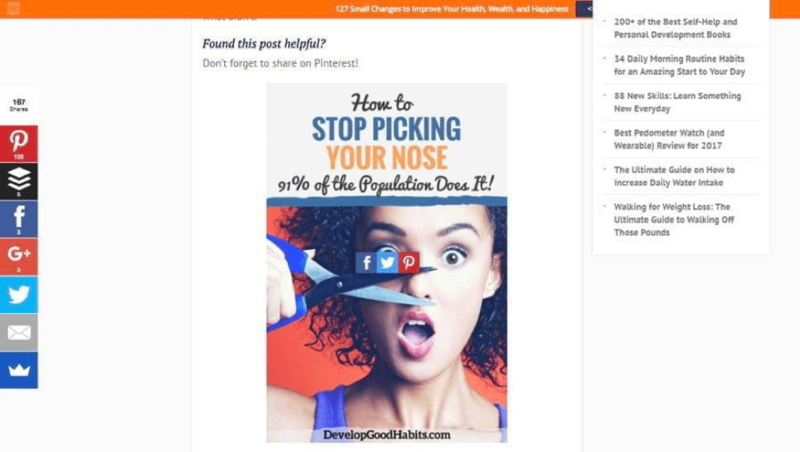 Image: Steve Scott, personal development expert of developgoodhabits.com, places a pinnable, branded image at the end of each blog post, asking readers to share it. Believe it or not, investing in Pinterest ads can get you more than $40,000 in revenue. While these ads look like regular, organic pins, they actually have more capabilities for businesses: you can target keywords and specific groups of users to increase visibility as well as engagement. Pinterest ads are similar to the ones in other online campaigns, where you have to formulate a viable campaign that is able to bring the maximum number of conversions. Testing different variations of images, text, keywords, bids, and target audiences will eventually lead you to ads that work for your goals. Founder and CEO of SmartMarketer.com Ezra Firestone shared his story of making hundreds of e-commerce sales by being strategic with his Pinterest ads. He spent less than $800 in total on ads and went on to make more than $40,000. It just goes to show that a little can really go a long way. When it comes to growing your profile, Pinterest knows best. They offer marketing tools that you can utilize to make the most out of your Pinterest. Be knowledgeable about these tools and features, so that on your own you can strategize and test what works and what doesn’t. Pinterest also has plenty of guides to help you with your mission. It depends on how you will translate these learnings into your own success. At the end of the day, Pinterest is just like any other platform, and there’s always a way to beat the system and win the game. With these tips, you can conquer Pinterest and quickly rise through the ranks. And with Pinterest virality, you’ll find your website or channel gaining a significant increase in organic traffic. What other Pinterest tips do you find helpful based on your experience? Danielle Canstello is party of the content marketing team at Pyramid Analytics. They provide enterprise level analytics and BI solutions. In her spare time, she writes around the web to spread her knowledge of the marketing, business intelligence and analytics industries.